The Nigerian authorities’ response to communal violence is totally inadequate, too slow and ineffective, and in some cases unlawful, Amnesty International said today, as clashes between herdsmen and farmers in Adamawa, Benue, Taraba, Ondo and Kaduna have resulted in 168 deaths in January 2018 alone. “The government must totally overturn its response to these deadly clashes to avoid this crisis getting out of control. They need to investigate and bring suspects to justice,” said Osai Ojigho Director Amnesty International Nigeria. On 4 December 2017, Nigeria’s air force sent fighter jets to fire rockets at villages as a “warning” to deter spiralling communal violence, as hundreds of herdsmen attacked at least five villages in Adamawa state to avenge the massacre of up to 51 members of their community, mostly children, the previous month in Kikan. An Amnesty International team visited the villages in the aftermath of the air raids and gathered witness testimony from residents who described being attacked by a fighter jet and a military helicopter as they attempted to flee. “Launching air raids is not a legitimate law enforcement method by anyone’s standard. Such reckless use of deadly force is unlawful, outrageous and lays bare the Nigerian military’s shocking disregard for the lives of those it supposedly exists to protect,” said Osai Ojigho, director of Amnesty International Nigeria. Two weeks after the incident Adesanya revised the account, adding that the herdsmen had opened fire on the aircraft. Adesanya was also quoted as saying that the air force recorded video footage of the operations, which involved an Alpha Jet and an EC 135 helicopter. Amnesty International is calling on the Nigerian air force – which has received intensive training from the UK and US militaries in recent years –to hand over the footage of the incident and all relevant information to the authorities, including the Attorney-General of the Federation and Minister of Justice for investigation. “This is unlawful and excessive force on a catastrophic scale. It is yet another tragic example where Nigeria’s armed forces are found applying deadly military tactics to law enforcement situations,” said Osai Ojigho. The air raids occurred in the villages of Lawaru, Dong, Kodomti, Shafaron and Nzuruwei, where Amnesty International interviewed a total of 15 witnesses. Locals in each village also provided Amnesty International with lists of the dead, which totalled 86 names. As the herdsmen shot people and torched homes, and the air raid resulted in fire, it was not possible to establish how much of the death and destruction was a direct result of the air attacks or attributable to the attack by herdsmen. Based on witness testimony, field observations,determination of the nature of weapons used as well as analysis of photographic and satellite images Amnesty International believes that the air raids caused significant destruction, and estimates that they were responsible for at least 35 deaths and numerous injuries. Witnesses involved in the identification and burial of the victims said that 51 had gunshot or machete wounds, while the remaining 35 died as a result of the airstrikes in Dong, Shafaron, Lawaru and Kodomti. They said that most victims were buried in individual graves but in Dong some 28 victims were buried in a mass grave. Dong and Lawaru had the highest number of fatalities. Across the five villages visited by Amnesty International, some 3,000 homes were destroyed. Satellite and aerial imagery secured and analysed by Amnesty International confirm the devastating cumulative effect of the herders and Air Force attacks, with at least eight villages heavily damaged or completely destroyed by fire. An Amnesty International team documented the impact of the air raid on the ground. In Nzuruwei, the team saw metal tears on a vehicle and motorbike which were likely caused byrocket fragmentation. Witnesses said they found remnants of the rockets nearby. Another witness in Kodomti showed Amnesty International his home which was destroyed by a rocket, remnants of which were found in the ruins of his house. In Dong, the Amnesty International team visited a palace of the traditional leader which according to witnesses was destroyed by an air raid hours after the herdsmen had left. They said remnants of the rocket were found inside the palace. Video footage shot by Amnesty International shows the widespread destruction of homes reduced to charred rubble, twisted metal and ash in areas where the villagers said the rockets landed. Amnesty International’s team also filmed shrapnel gathered by villagers. Experts identified the munitions as French-made SNEB rockets which are known to be used by Nigeria’s Alpha Jet aircraft. In some villages, the rocket attacks happened at the same time as the herders raids, while in other villages the air force arrived shortly afterwards, witnesses told Amnesty International. “Communal violence clearly warrants a response from the state, but to launch rockets into villages as a ‘warning’ is absolutely unlawful,” said Osai Ojigho. Residents described terrifying scenes as aircraft opened fire on their homes. A farmer from Shafaron said a helicopter and a jet launched their air raid just after the herdsmen arrived. “The helicopter and the jet started releasing bombs. Houses started burning. Children started running for their lives. Mothers packed up their children and escaped with them. We men were unable to fight back and we started running too. This jet burnt our houses and properties to ashes,” the farmer said. A traditional ruler of one of the villages, whose house was destroyed in the air raid, also described how the aircraft arrived shortly after the herdsmen. “As we were trying to hide we saw a helicopter and a jet arrive and start shooting and bombing houses. When they saw somebody trying to hide, the jet would just blast them with bombs,” he said. There were multiple warnings that the herdsmen were likely to launch a reprisal attack. Villagers as well as local leaders confirmed to Amnesty International that they informed the security agencies after they received text messages with specific information on the impending attack. Villagers also reported that they had seen armed herdsmen gathering in the area. In response, the police announced on 29 November they would deploy 315 extra officers in the area. However, villagers caught up in the attacks on 4 December said police and soldiers did nothing to prevent the violence. 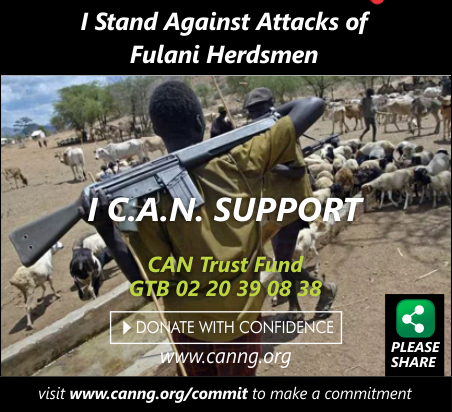 In 2017, clashes between nomadic herdsmen and local farmers resulted in at least 549 deaths and thousands displaced across Enugu, Benue, Taraba, Zamfara, Kaduna, Plateau, Nasarawa, Niger, Plateau, Cross Rivers, Adamawa, Katsina, Delta and Ekiti states. The violence has spiralled further since the beginning of 2018 with attacks and reprisals killing 168 people in Adamawa, Benue, Taraba, Ondoand Kaduna states. Following the attack on herders in Kikan on 21 November, the Adamawa state government set up a panel to investigate the clashes. Amnesty International believes the scope of the panel investigating these clashes should be expanded to include human rights violations committed by members of the armed forces. 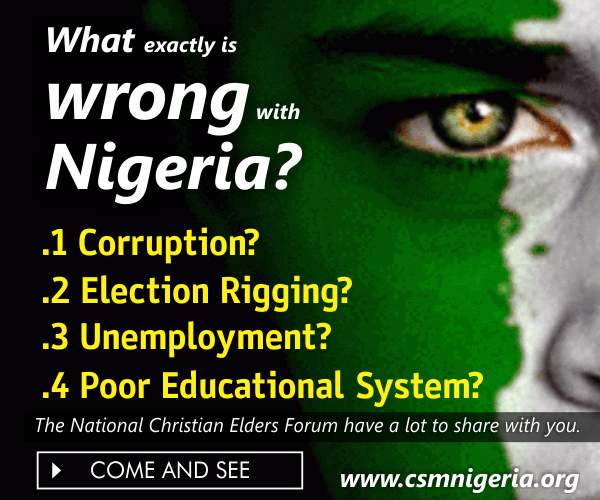 On 11 December, Nigerian Vice-President, Yemi Osinbajo, announced a national consultation on the clashes. “This wave of bloody communal violence must be addressed, and all herders and farmers responsible for killings and the destruction of property must be brought to justice,” said Osai Ojigho. The Nigerian military is currently performing security operations in 30 out of Nigeria’s 36 states and the Federal Capital Territory, often taking over routine policing duties. The frequent deployment of soldiers has resulted in many cases of excessive use of force, unlawful killings and extrajudicial executions throughout the country. The government’s reliance on the military for help in handling what should be public order situations has also seriously undermined the role of the Nigerian police.